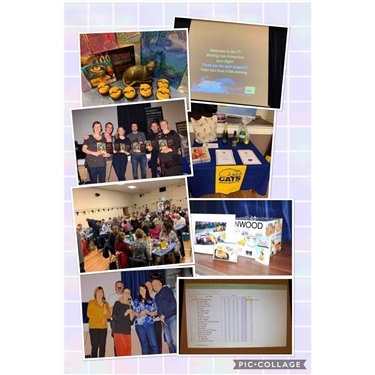 Our 2019 quiz night was a thoroughly enjoyable evening for all involved, not least for Paolo and Mark who prepared the questions. In joint second place were “Auntie Pauline’s Posse” and “I thought this was Speed Dating”, a mere three points behind “Kitty Kitty Bang Bang” our 2019 winners! Two perfect-ten scores were achieved on the night, the first in the picture round by “Kitty Kitty Bang Bang” and the other by “Auntie Pauline’s Posse” in the questions about the 1990’s. In the “Who’s voice” round, nobody successfully recognised Paolo’s voice, not even his wife Catherine. Wrong answers included Kenneth Branagh, Richard Burton, Orlando Bloom and Jude Law. Unsurprisingly, Paolo was absolutely fine with that. Overall the evening raised a staggering £2,000 for the branch, every penny of which will help needy cats in some way. A huge thank-you to everyone who came along, and for your truly outstanding generosity. Paolo and Mark are already working on ideas for the 2020 quiz night and looking forward to another fantastic evening.